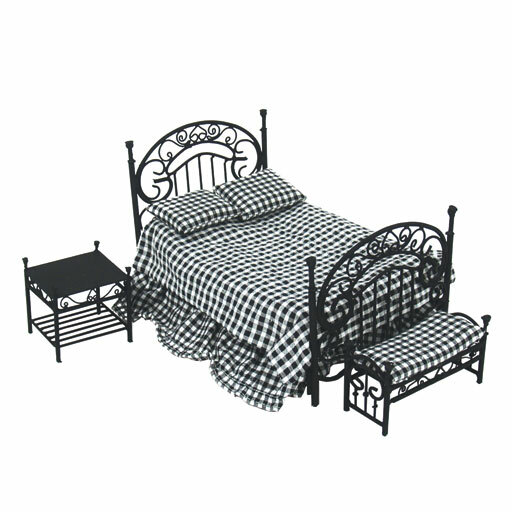 Painted metal furniture with removable black and white gingham check bedding. Painted metal furniture with removable black and white gingham check bedding (includes two pillows) and bench cushion. 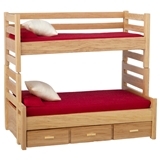 Bed requires simple assembly. 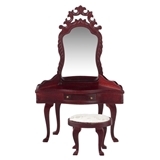 Love this set beautifully made do not be afraid to purchase. This set is very nice to look at but is extremely fragile. The first set I received was broken. The "welded" sections had come apart. MIniatures.com sent me a replacement that was in one piece but with minimal handling the headboard fell off. Was able to glue it back together. Would still recommend for an "adult" house used for display only but would not recommend for something a child will be playing with. I'm still quite happy with my purchase! Don't let the low price fool you. It's very good quality for everything you get pictured here. I would highly recommend this. Where else can you get the bedding included and pay less?